Just got this it’s in the mail next review to come. What a talented and under appreciated band. This album marked something very unique. Space rock's first appearance on the scene. 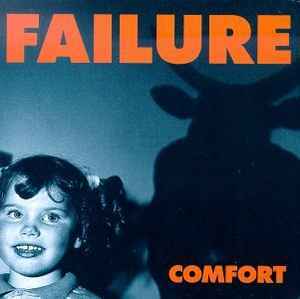 Failure started something new from this first album and for that reason they are unlike any other grunge band you will come across. Many other grunge bands of the time were good but were doing similar things. Tool, Soundgarden, You Am I, and many others all found their own unique identities ventually by the late 90's, but Failure started from their debut as one on it's own. This album was pressed on a very limited number on vinyl and due to the lack of promotion, did not make it to a commercial pressing. Thankfully, due to it's limited nature, the promo copies are of exceptional quality. Each was very close to the mothering disk and you can certainly hear it in the clarity! 5 out of 5!